Magnus Bane watches the once-glamorous Hotel Dumort become something else altogether in 1970s New York City. 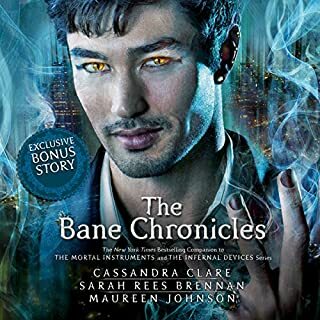 One of ten adventures in The Bane Chronicles. 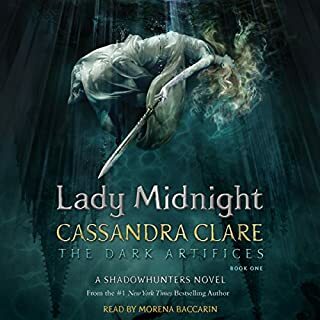 This standalone e-only short story illuminates the life of the enigmatic Magnus Bane, whose alluring personality populates the pages of the #1 New York Times best-selling series, The Mortal Instruments and The Infernal Devices series. 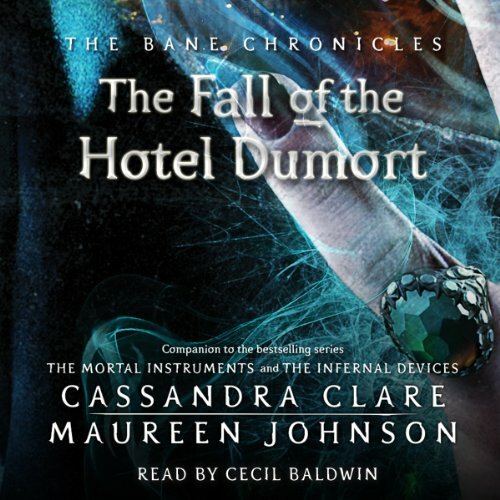 This story in The Bane Chronicles, The Fall of the Hotel Dumort, is written by Cassandra Clare and Maureen Johnson. If you have read TMI you have to read TBC. 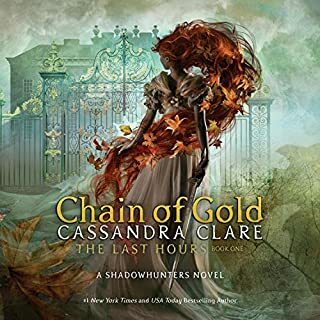 Would you be willing to try another book from Cassandra Clare and Maureen Johnson ? Why or why not? Okay this one was a good story, and good narration, but I just didn't enjoy it. I was amused to see them integrate the New York Black out from a few years back. The story is actually a good one of the New York Vampires, and of course Magus Saving them. He saves a lot of people, something I expected of him yet in many cases it makes him seem weak, I am not sure why they way he is presented in this light annoys me. I can't say much about this story. It just didn't strike a cord with me, I was kind of bored with it and wanted it over even if it was a good telling. narrator was difficult to deal with. The narrator was awful. I almost turned it off. If it had been more than 2 hours i would have. I enjoy any story about Magnus Bane. 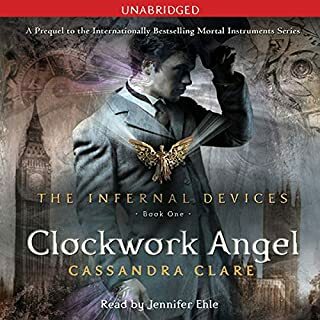 The narrator reads just fine but was a horrible Magnus Bane voice. Just sayin. I'd like them to have stuck w/ Gareth David-Lloyd (The Course of True Love). I adore Magnus Bane! He is by far my favorite character in the Shadow Hunter books. 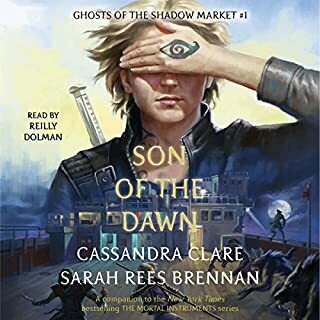 I love the way Cassandra Claire writes him. I do not like the way Cecil Baldwin performs this particular book. His voice is monotone and very robotic. It very much detracts from this book. I have a kindle and when I use the text to speech it is a robotic voice. That robotic voice has more emotion than this guy. 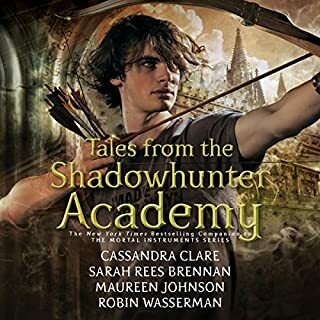 Definitely buy the one before this one called Saving Raphael Santiago but steer clear of this one. Maybe the next one will be better. it was very annoying to listen to this guy!!! He was very feminine sounding! The story was about guys!!! This was the worst audible book I've ever listened to! Every guy sounds feminine! yuck!! !